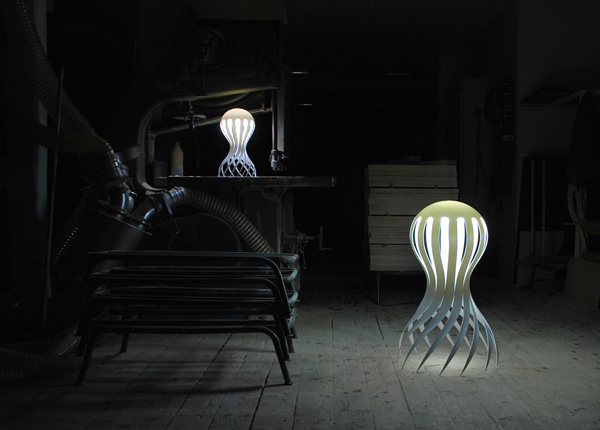 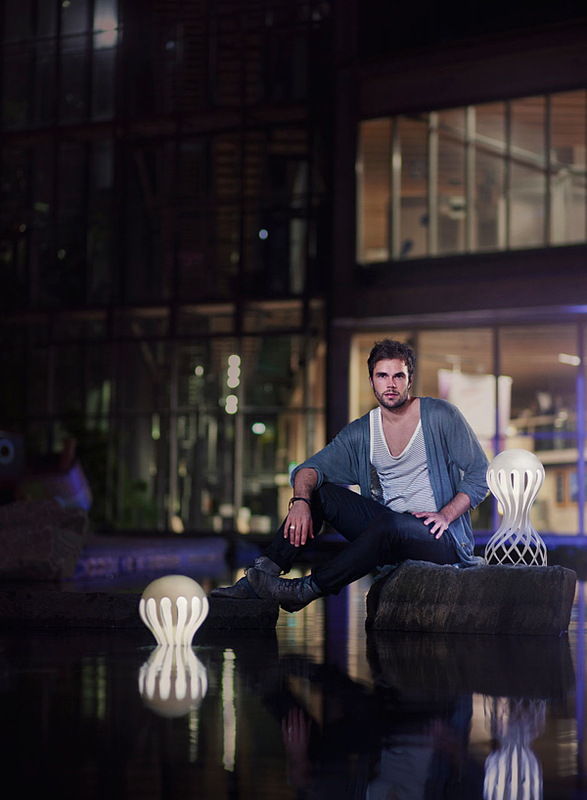 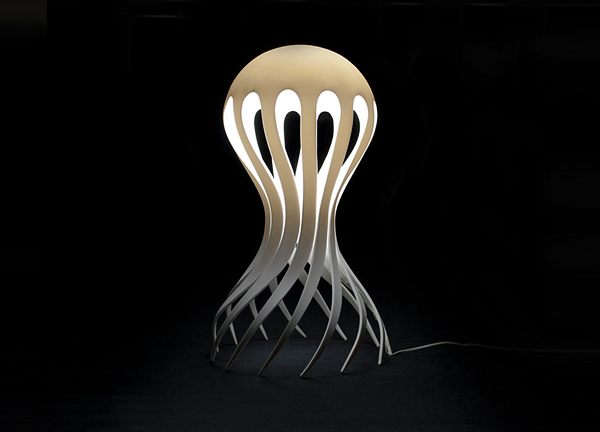 Unusually-shaped sea creature Cirrata, a suborder of octopuses, was a source of inspiration for designer Markus Johansson. 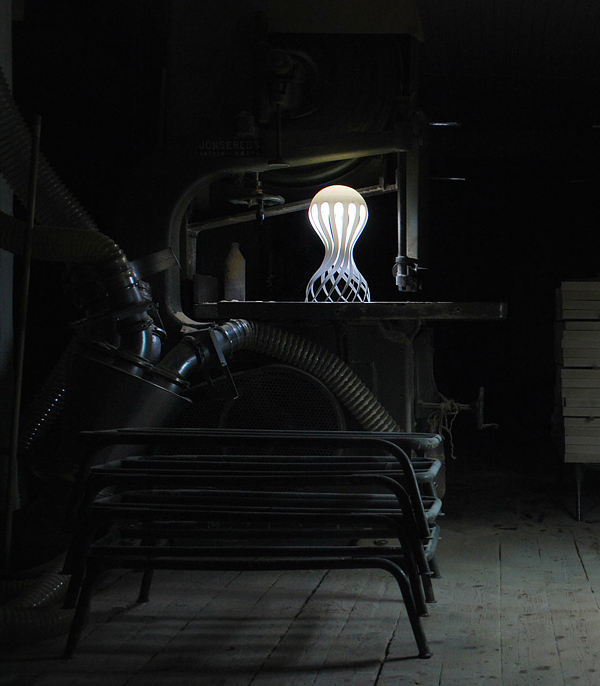 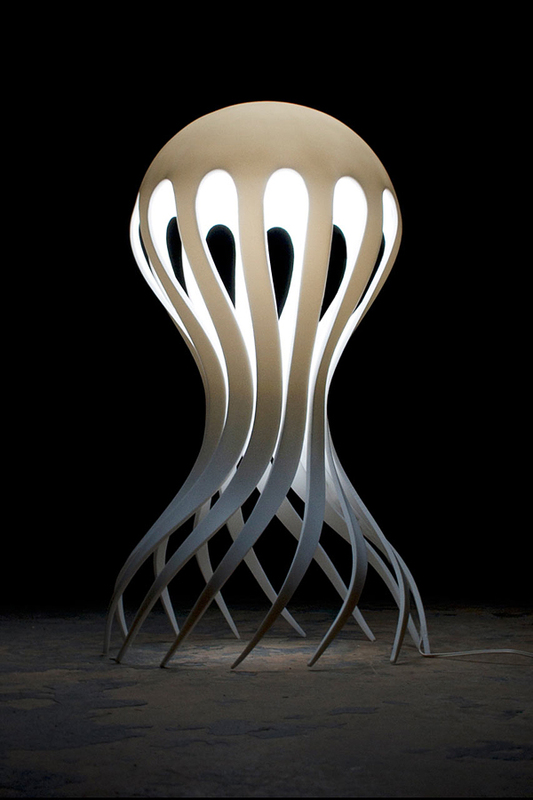 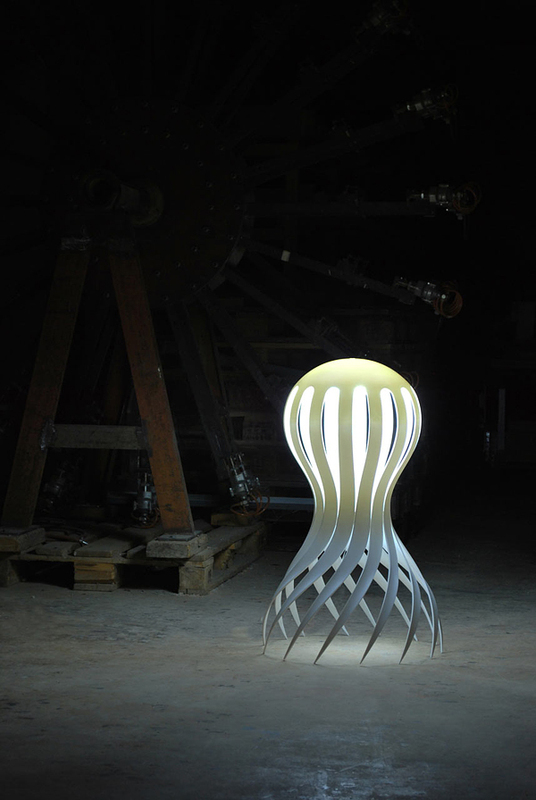 His glowing, delicately formed lamp is meant to light up the “darkness of the ocean.” The tentacle-like base creates the illusion that the fixture is floating across the surface it sits on, or the ocean floor where the idea was born. 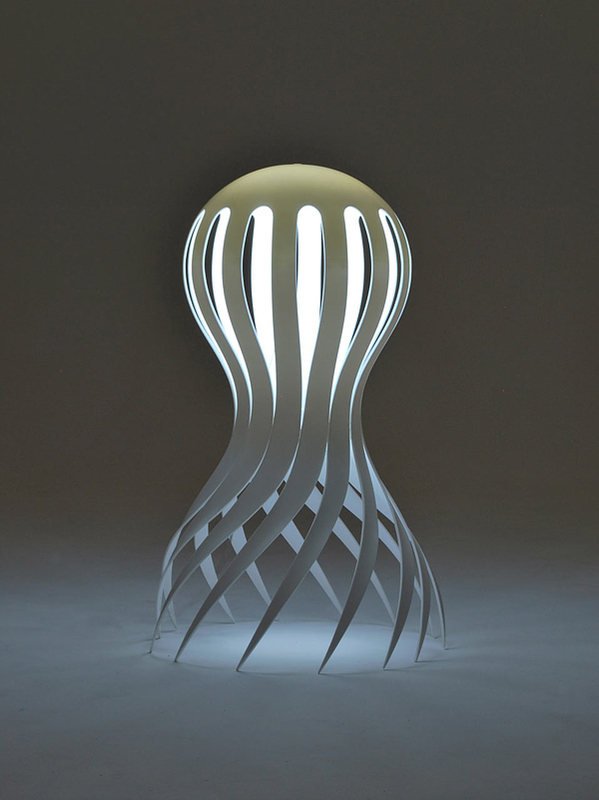 Who would have thought this lamp was made from Corian, that solid surface material most often used for kitchen and bathroom countertops.